What Do You Use a Cocktail Napkin For? A cocktail napkin is the smallest napkin in a collection. They're used to hold a drink to collect condensation from your cocktail and as a coaster to protect furniture when a glass is set down, and are so much nicer than paper napkins that fall apart and make more mess instead of containing. Cocktail napkins are generally 6" x 6" or smaller. A cocktail napkin should always be handy when cocktails are being served. I also use cocktail napkins for a wine and cheese snack if friends are over as they look more proportionate with a small plate. 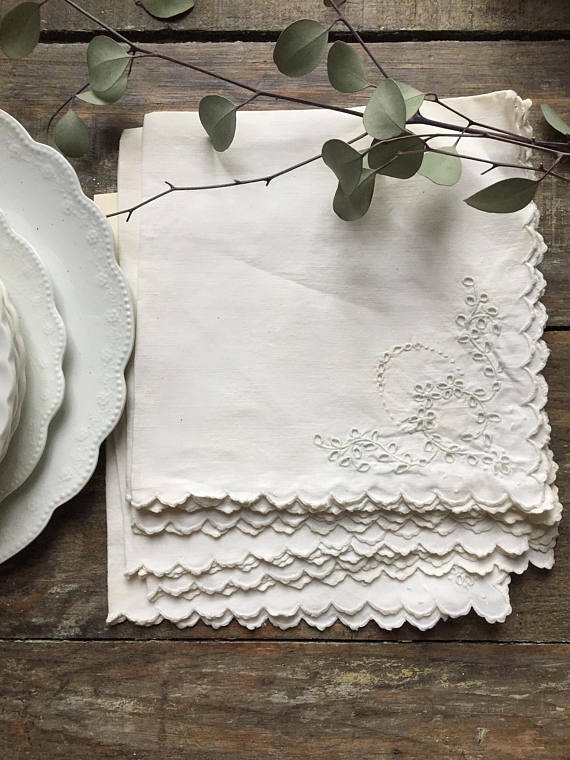 If you want to turn an impromptu little gathering into a more special feeling occasion, have extra cocktail napkins on hand to use one with the wine glass and one set beside the plate for dabbing cracker crumbs from ones mouth. My grandkids like a cocktail napkin with milk and cookies; it makes them feel like they've been invited to a special grown-up event. And what could be nicer than arriving to a party with a set of cocktail napkins as a hostess gift?